Amazing program, great job Soto Bros!! 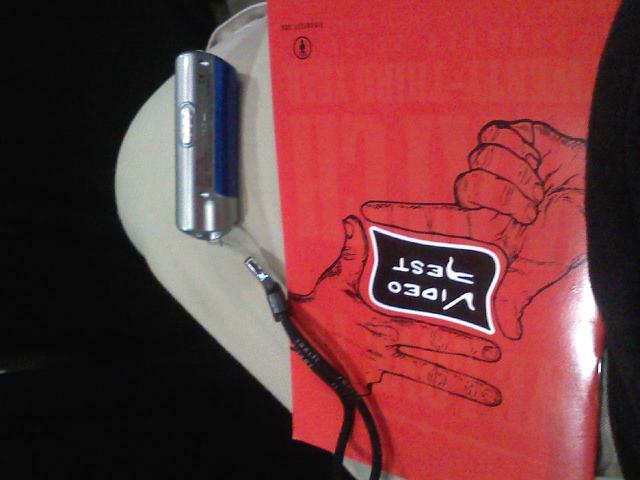 Last night the 23rd Dallas VideoFest kicked off for a four-day run all for you. I saw two films that we’re worlds apart and yet that contrast was truly inspiring. DVF is a wonderfully run film festival (Thanks Bart and the Gang) that brings to our senses films that may otherwise be passed over. A FILM UNFINISHED and ECHOTONE hit you with a strong blow to the emotions and impacts your whole notion of what you thought you knew about their specific subjects. A FILM UNFINISHED is a bold struck of pure luck. Its about an hour long propaganda film by the Nazi’s that shows the Warsaw Ghetto in May of 1942. Its directed and edited by Yael Hersonski who is a young Israeli filmmaker. The movie shows the raw footage (60 minutes) in its entirety and explains the staged elements of certain segments. These staged elements and the actual journals, interviews, and letters of the people involved in the Ghetto give an amazing frame for this horrifying portrait. A time when a “final solution” would forever change our definition of society and of civilization. Their is a moment in the film where a burst of color, not to far from the burst of red color in SCHINDLER’S LIST, gives a whole different perspective to a deeply-rooted subject like the Holocaust. It shocked me and made me completely aware of just how real and recent these events truly are. I’ve never felt that way from just a film about the holocaust. The emotions were on par with what I’ve felt when being at a German Concentration camp or Holocaust museums in Dallas, Washington D.C. and Yad Vashem in Israel. It felt like a new point of view and may be on the verge of groundbreaking. The film was an attempt to show the contrast of Rich Jew and Poor Jew. It was locked away in a forest only to be found later and forgotten again. By chance and by luck we have the ability to witness it. The holocaust is never a pretty or beautiful subject to discuss. Until you see the people that speak up and tell their stories. Then you see the dignity in these fighters, in these humans. 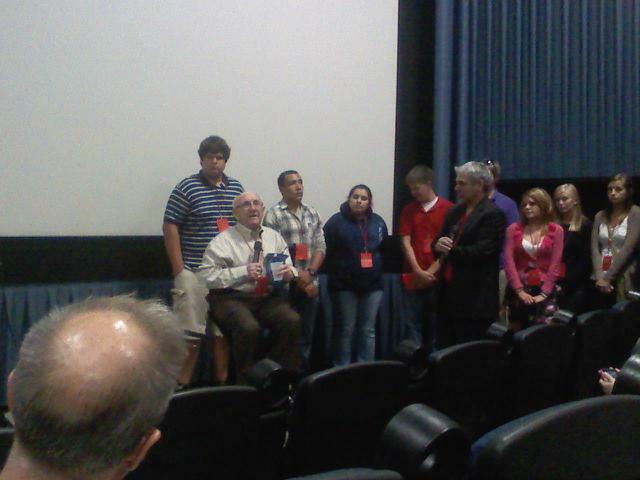 Before the film we we’re graced with a wonderful documentary (shot and edited by local students ) about an actual survivor of the Holocaust who was at the Warsaw Ghetto. His bold tale and gripping words really sum up the power that is behind this film. 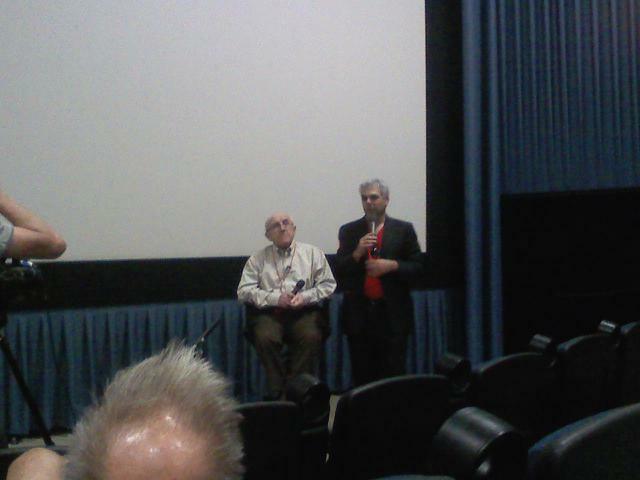 Max Gaultstein was kind enough to share some amazing stories and insights. This first one talks about images seen where Jewish men were rounding up dead bodies from the streets of Warsaw. There is another story that Max talked about in which the movie showed horse meat being sold and eaten. Max talks about the way the population kept on going and why some were able survive. Max talks about the progression of the Nazi’s plan and the changing of Warsaw. Max explains why he talks about these horrific memories. Max discusses an element that wasn’t seen in the film, but is about the Warsaw Uprising. Max has truly devoted his life to educating and helping people understand the lessons that need to be gained from the Holocaust. A young student, who was seated right behind me, asked the most important question of the evening. And Max gave an honest and contrasting response. Just like A FILM UNFINISHED is a honest depiction of a German propaganda film used to further hatred through its contrasting images of rich and poor. A group of students traveled all the way from Texarkana to give Max a gift. A lovely gesture that moved us all and had Max excited to chat with so many young captivated minds. 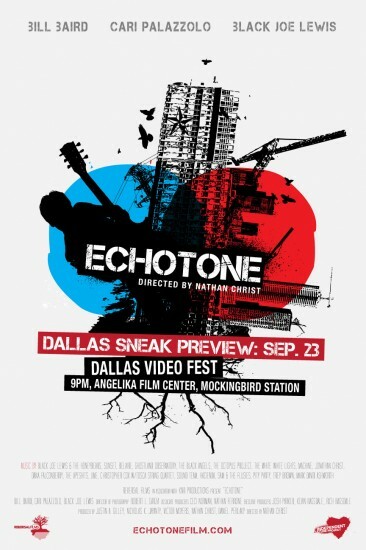 ECHOTONE was the late film I watched and fully enjoyed. Its a unique lyrical documentary that showcases “The Live Music Capital of the World” aka our Texas Capital, Austin. This is an intriguing and fun city which is on the verge of a major change and the film does a wonderful job showing all the sides. We see musicians, promoters, venue owners, politicians, and business men all mixed in with concert footage and beautifully photographed profiles of the city. The vast range of musicians covered and highlighted showcases just how diverse and unique the city has become over the last 50 years. The film also has an underlying feeling of “US VS THEM”. It pits sides against each other in a non-aggressive manor. Its not a film that bashes anyone, but their does come across an anger from almost everyone involved. This anger though is cultivated into the music, the scene and ultimately the city. To see and hear the artists highlighted click here. This film is not just a regular movie its a journey and an experience. The Dallas VideoFest runs through the weekend. Check back with us for our schedule and come join us! !